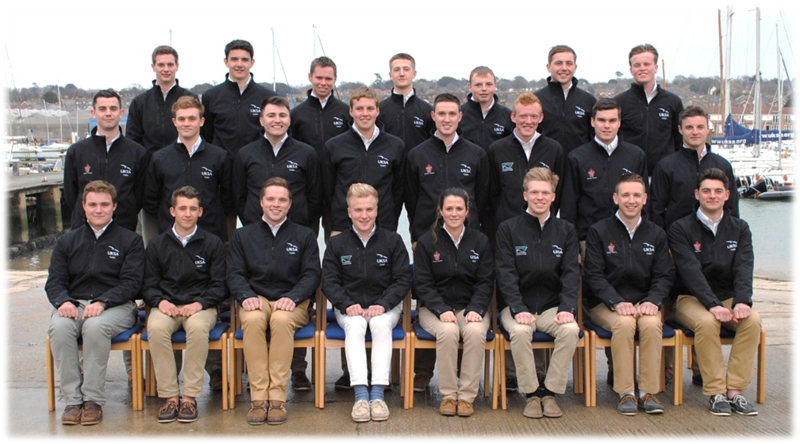 The latest cohort of UKSA cadets have left our Cowes campus to find work within the superyacht industry following the end of the first phase of their training. An awards ceremony was held to give them a send-off and hand out the certificates they have accumulated so far, including their Yachtmaster, during the first few months of their training on our flagship Superyacht Cadetship course. It was noted that they had endured a winter season of extremely harsh sailing conditions. The ceremony was attended by proud parents and maritime industry professionals. Also in attendance were representatives of Seafarers UK and Trinity House – organisations that kindly sponsored a third of the cadets this year. 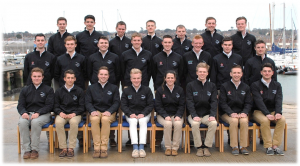 The Cadetship is a three-year finely structured career course which combines phases of training with paid work placements on superyachts, and includes a Foundation Degree in Operational Yacht Science delivered in conjunction with Falmouth Marine School, validated by the University of Plymouth, and available to apply for through UCAS. Emma Baggett, UKSA’s Industry and Cadetship Manager, said: “For the cadets, this the end of an intense six months where their knowledge and capabilities have taken a huge leap forward, and they have forged life-long friendships. They are now about to embark on the first steps to the rest of their professional careers. The combination of the most relevant training, mentoring, and personal support equips them with the right attitude and manner to enter the industry. Thomas Higgins, 22, who was sponsored by Trinity House, added: “It’s all been absolutely fantastic and now I’ve got a bright future ahead of me.” Shortly after the ceremony Thomas found out he had gained his first deck position onboard a high-profile 90m superyacht. The awards were: Best Crew: Como (consisting of Jason Sivyer, Virginia Keig, Jake Howard, Sean Nathan and Edmund Hartley). Top Cadet: Sean Nathan. Top Academic Cadet: Jason Sivyer. Special Academic Awards: Archie Willis, Ed Craze, Virginia Keig. Special Achievement Awards: Calum Penn, William Phillips. There is one Cadetship intake each year, in October. There is a selection process at various points throughout the year. For further information and guidance, call 01983 203038.